Welcome to the 4th annual "Impossible". The last three years have seen great downwind conditions and hopefully the tradition will continue. The course should largely remain the same, just a few minor changes to the path through the river mouth. Please make sure you check the rules file that is linked below. Free t-shirt for all entries made prior to the first 30 entries. To view race video from 2017 race, click the link below. 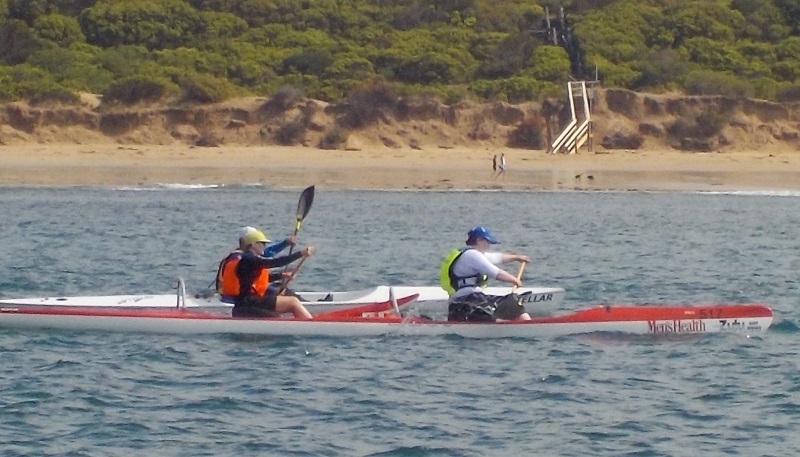 Paddlers participating in this race have been granted exemption by MARITIME SAFETY VICTORIA from regulations prohibiting speed limits of 5 knots within 50 metres of other craft between Torquay and Barwon Heads Bluff. This is still being negotiated. Information out soon. 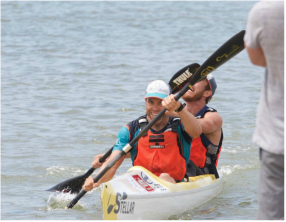 Two 6 month memberships to JETTS 24 hour gyms, Two free entries to the 2018 Gippsland Lakes Paddle Challenge, Meal vouchers from Growlers Restaurant Torquay, Vouchers to the Barwon Heads Hotel, Vouchers for the New Limeburners Bar, East Geelong, Vouchers from Blue Planet SUPs, Two free entries to the Gippsland Lakes Paddle Challenge, Quiksilver products from their Waterman range of gear for paddlers of all sorts - SUP, skis, outriggers and prones gear from CORE BOARDSPORTS , trophies from Intricut and more. All divisions will be open to any paddler over the age of 17 who make a declaration (guardians sign for those under the age of 18) attesting to their swimming and paddling ability. It is a condition of entry that entrants be able to swim 400 metres without rest and can remount their craft after capsize. Paddlers must also have previously paddled 18 kilometres in the ocean or bay. All these craft are regarded as ‘marine safe’. They have sufficient free board, positive flotation and where necessary can seal their cockpits. Sea kayaks must have at least 5.5m waterline (LWL) and have sealed compartments in order to participate. The race is scheduled to commence in front of the Torquay Yacht club, Fishermans Beach, Torquay. This is an area protected from waves and all winds except easterlies. There are no rocks or reefs close to shore. Start time is 10.00 am for SUPs and 10.30am for skis, which will be 90 mins after a neap low tide. This will give plenty of depth over the bombora reefs offshore. Paddlers will progress along the coastline to Pt Impossible, passing to the left of a buoy located 500m offshore and well clear of the reef. They will then head to Barwon Heads Bluff and will round a buoy that will be placed off shore at sufficient distance to avoid breaking waves. Paddlers will then aim for the red channel marker at the river entrance. They must keep this along with the second red marker on their left to avoid sand banks and then through to the finish line. In the event of adverse winds, the course may be reversed or the venue changed as per the hazard management strategy. 1x Jetski, 1 x IRB crewed by SLSC members. 1 x 7.0m dive boat (command vessel) whose skipper has a level 3 first aid certificate The command vessel will tail the field and the jetski will patrol the seaward flank. Rescue craft will be in place and ready at 1000 hrs. Crews will attend a briefing at this time. Rescue craft will be in communication with each other and base via UHF radios and will tune into a channel agreed to prior to the event. It is a condition of entry that the above race rules are read. Please note this part of the safety plan. The intention is to have downwind conditions for the race. This means a south west wind or similar. If conditions are unfavourable for the Saturday, one of the following changes will take place. 1. If east or north-east winds are predicted, the race will be run in reverse. 2. If strong off-shore winds are predicted (north to north-west), the race will be delayed a day and conducted on the Sunday. This will occur if more favourable conditions are predicted. 3. If both days are predicted to be strong off-shore, the race will be contained in the Barwon River at Barwon Heads. For safety reasons, the race will not proceed in the ocean if the predicted winds are more than 20 knots off-shore. ENTRIES FOR THE RACE ARE TO BE DONE ONLINE. EARLY BIRD ENRIES ARE AVAILABLE UNTIL MIDNIGHT TUESDAY 30th OCTOBER . LATE ENTRIES ARE AVAILABLE UNTIL 5PM ON FRIDAY 3rd NOVEMBER. FREE T-SHIRTS FOR THE FIRST 30 ENTRIES. SORRY, NO ENTRIES ON THE DAY. CLICK BELOW FOR ENTRY FORM. Our thanks to LaFoto for filming this. COACHING: Need some professional coaching to improve your confidence? 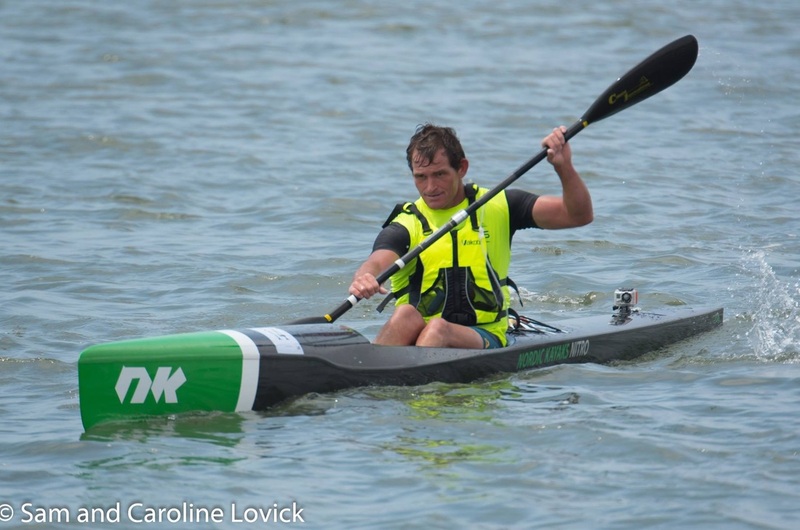 Tim Altman is Victoria's most experienced paddler. Check out his Facebook page here.